It can be a dispiriting business, selling folk LPs on eBay, when a wonderful and rare record like A Mayflower Garland by Cyril Tawney offered at the price of £5.99, in mint condition mind, attracts one watcher in all the the world. Even more dispiriting, he or she might snap it up at that price. Really, it's enough to make you examine your vocation. So I thought I would change tactics and act like a proper dealer. Q. What's the most collectable label in the world? A. Vertigo with the swirl label, of course. Q. And who is the biggest rock 'n' roll icon of them all? A. John Lennon, natch. If there's any connection between Vertigo and John Lennon, I don't know of it, but I intend that the next two eBay offerings shall be the eponymous Black Sabbath LP from 1970, and John Lennon's Two Virgins from 1968. In my book, the former is the definitive Sabbath album. The striking gatefold Keef cover and the hilarious sub-Dennis Wheatley sleevenotes just edge it over Paranoid. 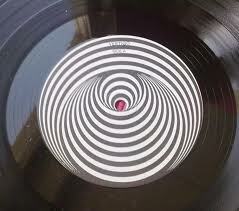 Surely the famous Vertigo swirl is the most eye-catching label design ever. Roger Dean will live in infamy forever for designing the spaceship horror that succeeded it. Alas, my copy is not in great nick, but the surface noise is consistently drowned out by industrial levels of heavy metal, and it only becomes an issue on the quiet bits (! ), notably the tolling of the bell at the very beginning, and the spaces between the seven tracks, although where 'Sleeping Village' ends and 'Warning' begins has always been a deep mystery. 'Warning', lest we forget, was written by Lancashire blues legend Victor Brox. He once told me the story of how he first encountered the Sabbath version. It chanced to be playing as he and Aynsley Dunbar strayed into an 'underground'-style club sometime in 1970 (sorry, I'm a bit fuzzy on the detail, it would have been a hippy haunt like UFO or Middle Earth). 'Warning' had already been released as a single by The Aynsley Dunbar Retaliation. Hearing it blind, and presumably entering at a non- Ozzy moment, Victor assumed it was the Retaliation. He turned to Dunbar and remarked how he hadn't noticed that he (Dunbar) was having such an off-day when they recorded it. As for Lennon, well Two Virgins was universally viewed as the ultimate rock-star folly. Essentially a sound collage like 'Revolution No.9' from White Album, though not as tightly structured, Two Virgins was criticised as unlistenable and self-indulgent, and a sad comment on Lennon's state of mind at the time. What interest it possessed was purely prurient (you can see Lennon's willie on the cover). And yet… Well, you have to applaud the man's defiant experimentalism and marvel that 'She Loves You' was, what?, only five years distant. Some redeeming features: Yoko One remains the best screamer in the business (Fly is the one). Plus it offers insights into John's home-life and I think it's meant to be taken lightly: more Goon Show than Edgard Varèse. Unfortunately this is a USA reissue, possibly from the eighties, with recurring surface noise almost certainly due to low quality vinyl stock. It's unlikely to have received much needle-time. Sigh! Fortune my foe! 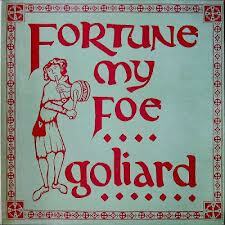 That's an LP by Goliard by the way. On the Broadside label. 1978. Mint condition and a starting price of £5.99. Are there any takers? 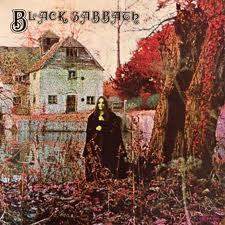 0 Responses to "Confessions of an eBay Trader #2: Black Sabbath by Black Sabbath, Two Virgins "